By now most of you are aware that all public swimming pools must be compliant with the Virginia Graeme Baker Pool & Spa Safety Act. The Act, effective as of December, 2008, requires that all suction outlets be equipped with ANSI A112.19.8-2007-approved VGB covers. If your pool is not designed with split main drains and equalizers (with drains separated at least 36 inches apart), it must have unblockable drains or have a secondary safety device, such as a safety vacuum release system (SVRS). Many pools will not comply with the new legislation by merely changing the main drain covers, because the sump below the drain covers must meet the manufacturers written specifications. In some cases, this will involve construction and design of a new sump. It is important to have your drains checked and changed to insure your pool or spa is compliant. The fines are hefty, and are being enforced. Dont risk your tenants being injured or your spa or pool being closed down. 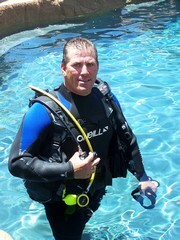 Phillip Miller is the owner of Design Plastering Swimming Pool Renovations, which services most of southern California, and offers Padi Certified Scuba/Underwater Drain Replacement compliant with the Virginia Graeme Baker for most Pools and Spas. This eliminates the need to drain your pool or spa and in most cases the new drains can be replaced in minutes, saving you time and money. Call: (661) 295-0250 or (310) 287-0497 for a free phone consultation. See our feature, Tenants Saving Money by Using Home Amenities.